Stellar opening track. “You Think You Know” really sets the album up and defines what Device is all about. David Draiman. His unique voice and incredible range are on exquisite display here. His performance outshines anything he has done before with Disturbed. Tight musicianship with a sludgy aggro industrial sound. Geno Lenardo’s guitar work complements Draiman’s voice, and it all comes together as a dark aural assault. Deep, creative and well written lyrics which tackle a variety of topics. It is some of Draiman’s best work. The lyrics are a massive step up from Asylum, which I thought had weak and forced lyrics trying too hard to be “dark”. Lzzy Hale. She carries the classic “Close My Eyes Forever” to another level. Lita Ford who? One of the highlights of the entire album. Make it a single and a video. At times it’s hard to differentiate Device from Disturbed. It’s different, but Draiman’s voice is so entwined with the mammoth Disturbed that it’s hard to not make the connection. Songs like Penance and Hunted would feel right at home on a Disturbed album. It keeps Device from forming its own identity. Too short. Ten songs is not enough and they should have left the bonus tracks on the album. It’s not as unique, industrial or special as it was originally made to sound. Also, the songs can start to sound a little similar. I would have liked to have seen more experiments within the album. For example, Haze is a cool track which has a nihilistic industrial-esque groove. More experiments like that would have made the album a little more exciting. Not all the guests pull it off. Lzzy Hale and M. Shadows do a very good job. Serj Tankian is irritating with his constant high pitched ” ah-ah-aaaahhhs”. Tom Morello doesn’t make much of an impact either, and his guitar work on the album is tame compared to his fiery performances with Rage Against The Machine. Performers such as Rob Zombie, John 5, Manson, Jon Davis, Corey Taylor and Cantrell would have been worthy additions. 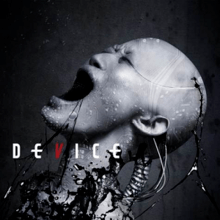 Hell, Trent Reznor, Richard Patrick and Al Jourgensen could have created something special for all the industrial leanings of the album and made Device a full fledged machine. Well, at least there is a good list for the second Device album.